One summer, a group of turkeys meandered up next to the North River Fronts Neighborhood Park and a little boy took off running to see/pet/snuggle the big birds. He was too young to go galavanting on his own, but his worried mom was too pregnant to run down a sprinting, turkey-obsessed toddler. And that’s when everyone else came to the rescue. Seeing the toddler dash away on his own, a whole group of parents and kids took off across the park. They quickly caught up, slowing him down, keeping him safe, and retuning him to his thankful mom. The scenario was a little scary, but mostly hilarious – especially to the kids who got to be superheroes that day, saving their little friend from a pack of nefarious turkeys. This kind of fun and community support is just one perk you’ll find in a “playground tour,” where friends both new and old gather at a different local park each week. 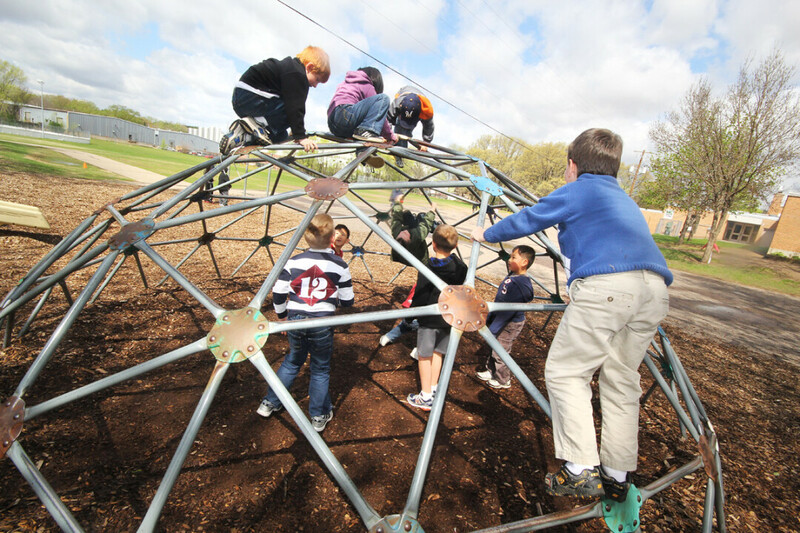 The heroic group of kids and parents mentioned above are part of the CV Playground Tour, a loose-knit network of Chippewa Vallians looking to get out of the house, meet new people, and explore new parts of the city – turkeys and all. Going into its fifth summer, Beth Schwartz began organizing the CV Playground Tour in the spring of 2011, using Facebook’s Groups feature to let friends know when and where to meet up each week. 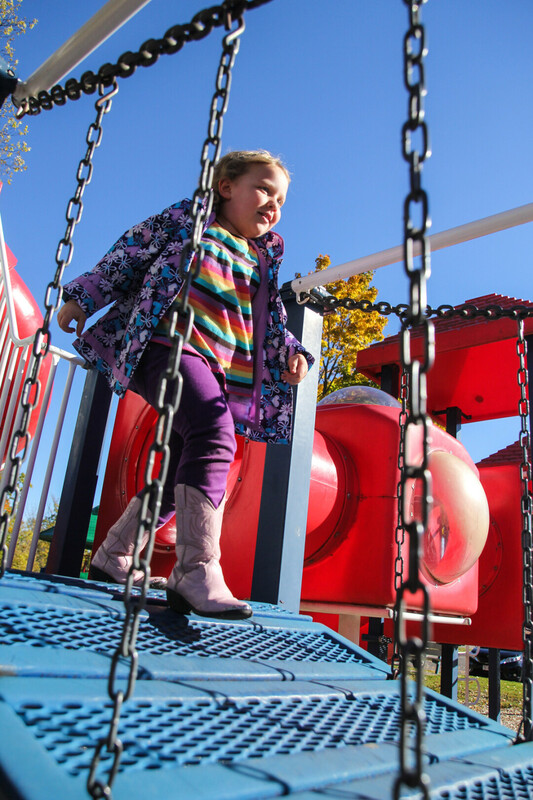 A schedule of playgrounds is set up in the spring. Many of them are in Eau Claire, while others are in Chippewa Falls, Menomonie, and beyond. Parents show up if they can, bow out if they can’t. Group members also value the tour as a place for kids to meet new friends, often from outside their normal circles. And in addition to introducing new parts of the city to your kids (and yourself), a playground tour offers you some of the stabilizing weekly structure that’s lost after school lets out. It also allows parents to socialize in a safe atmosphere with other adults who understand when you need to cut off a conversation and get your kid unstuck from a tube slide. She also says the Wheaton Township Park has a great hill to roll down, and Rod & Gun Park in Eau Claire is home to many a fascinating frog. While the CV Playground Tour isn’t an exclusive affair, it grew from an existing social network. Starting your own tour is as easy as setting a date with a few friends. Just do it once and see what happens. There’s no cost and the rewards can be immeasurable.